We’re back from a bit of a break and we’ve got some wonderful podcasts lined up. What were we doing for the last month? For starters, Todd returned to his roots in Petaluma, California to attend the Pachamama Alliance Global Gathering. Environmental activists, social justice thought leaders and those deeply rooted in the spiritual underpinning of the Pachamama Alliance spoke at the gathering, including Lynne and Bill Twist, John Perkins, Paul Hawken, Charles Eisenstein, Drew Dellinger, Rev. Deborah Johnson and Brian Swimme. In this podcast, Todd shares his experience of the event and we also listen to clips from some of the speakers. For a full list of speakers and some of their presentations, see our Facebook page. The “farming doctor” Lemuel Ng explores the love, health, community and spirit of the soil and magic of community that is FOLO Farms. We talk about why a “weak” plant and a “sick” person are so important, how insects are important to nutrition, and how what you don’t know might be so much more important than what you do know. Lemuel’s purpose and passion beam through in this entertaining and highly-educational talk. Will Chua was a government official in Singapore who had a “third life crisis” and re-evaluated his life, his relationship with family and friends and what he was doing in the world. With a group of family and friends, he began FOLO (Feed Our Loved Ones) Farms in order to address some health issues that they had come to learn were food-related. We discuss organic farming, how food is the answer to so many of our world’s issues, community, environment and spirituality. It is a fun, lively and deep conversation. With a name change and a few tweaks, Mark Mottram brought new life to the former “Muffinry”. Located in the bustling Central Business District (CBD) of Telok Ayer in Singapore, this charming enclave features homemade bread and muffins, a full bar, wonderful events and some of the best cocktail pricing in town. Mark’s insights into increasing business and customers’ value is educational, as well as entertaining. A delightful conversation with one of the most humble, while amazingly talented Chefs in Southeast Asia, Jake Kowalewski. 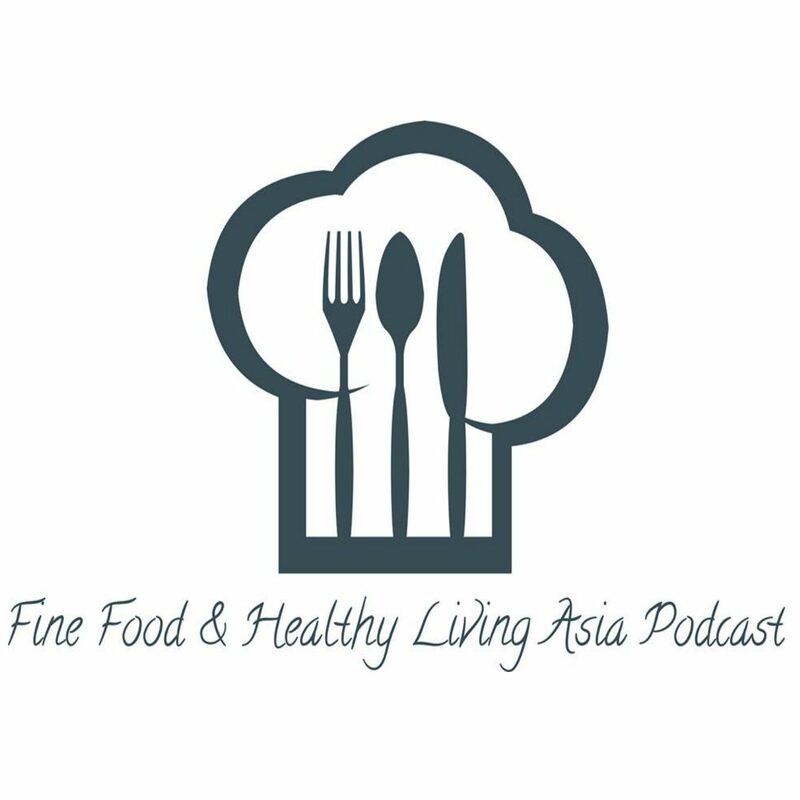 We chat about his beginnings as a dishwasher and how he learned his trade to become the Head Chef of Salt Grill and Sky Bar in Singapore. Also, some lively discussion about Cricket, Yabbies, the Orient Express, Tokyo and the demanding but rewarding life of a Chef. We strongly recommend a visit to Salt Grill and Sky Bar, and book your Mother’s Day reservations right now! After Culinary school in Frankfort, German at the age of 17, Richard went to Switzerland and found his passion for cooking from working with a French Chef. Skiing in the mornings, cooking in the afternoons and evenings. Then, he made his way to Malta where he learned to cook Mediterranean food. Chef Richard shares his Yabbie cooking technique. Discussion of food waste and why it is important to use all of the food with no waste. Respect for the animal and for the planet. Later, he moved to Dana Point, California and worked on the Sea Cloud, a cruise ship before making his way through Lichtenstein to cook in a Michelin star fine-dining, Restaurant, Maree. Upcoming menu additions at Spize. What is the Temasek Club? The blessing and curse of sourcing food in Singapore. Chef and Owner Ryan Clift discusses how the world of cooking and becoming a chef saved him. The fascinating story of his logo. What is a “sonifier”? Outstanding philanthropic work. This outspoken chef will have you glued to your podcast player. Listen to past episodes on our archive page.